Hope Industrial products are built to withstand the harshest industrial environments and are backed by an industry-leading 3-year warranty. Hope Industrial customers can expect many years of trouble-free operation, but failures will occur. Whether the damage is due to an accident or premature failure, we understand the importance of getting products repaired and back to work as soon as possible. To ensure maximum up-time for our customers, we generally repair and return a failing monitor within 24-48 hours of receipt, and can often make repairs on the same day the product is received. It is important to contact Hope Industrial before sending in a product for repair - failure to do so can delay the repair process. 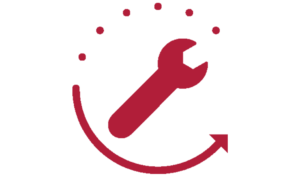 To request service please contact Hope first - we may ask for more information about the issue to ensure that the issue is not something that can be solved in the field. If we determine that repair is needed, we will provide a Return Material Authorisation (RMA) number along with detailed return shipping instructions. This RMA number should be clearly marked on the outside of the shipping box. For products originally sold through Hope Industrial U.K., return shipping to and from Hope Industrial repair facilities and any EU member country (except Croatia, Cyprus, and Malta) will be provided using a pre-paid UPS shipping label provided via email. The Hope Industrial Systems service group will follow up with a problem report within one business day of receiving the product. Most repairs can be completed within 1-2 business days of receipt. No billable repairs will be made without prior approval. For repairs not covered by warranty, a standard inspection fee of €40 or £35 may be charged to determine the nature of the problem. This fee will be applied to any necessary repairs.